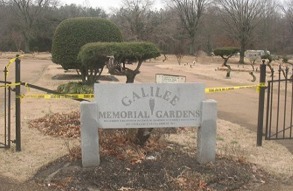 Cochran Firm helps families suffering from reported abuse and theft at Galilee Memorial Gardens, Memphis, TN. April 2017 - Lawyers are scheduling a conference to meet with the judge to obtain new deadlines, including but not limited to a new trial date. Letter will be sent out after the conference. contingent upon the date of your loved one's death and the date you sought our representation. The death of a family member is sad enough, but when the trust of the cemetery where the loved is interred is destroyed, it becomes abuse. Jemar Lambert, owner of Galilee Memorial Gardens, has been arrested for theft and abuse. It is reported he improperly buried multiple bodies in the same graves and sold plots located on land he did not even own. 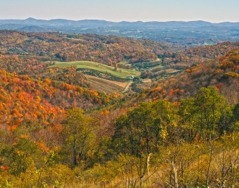 He is suspected of selling as much as $60,000 in non-existent plots. The Cochran Firm in Memphis wants you and your family to have the assurance that your loved one received a caring and proper burial in the place you chose. The Firm feels that you should be adequately and justly compensated for additional grief if that did not happen. Contact us today if a family member or friend has been interred at Galilee Memorial Gardens. We are making every effort to insure that each person was buried appropriately and in their proper plot and will aggressively pursue justice on behalf of families who have been wronged. The owner, Jemar Lambert, has been arrested for theft, abuse of a corpse and additional charges may be coming. If you have a loved one buried at Galilee Memorial Gardens or purchased a plot, please contact us today. You have questions and we want to help you answer them. ON BEHALF OF OUR CLIENTS, IT IS OUR DUTY TO DISCOVER EVIDENCE OF ALL INSTANCES OF SIMILAR THEFT AND ABUSE BY JEMAR LAMBERT and GALILEE MEMORIAL GARDENS EMPLOYEES. Have You Purchased a Plot or do You Have a Loved One Interred at Galilee Memorial Gardens? There are lots of questions. Let's get answers! From the reports we have received, there may be dozens of people callously buried in mass graves at Galilee Memorial Gardens. News media has reported that workers would drive over grave sites with heavy tractors to crush the coffins so there would be room to bury more people on top of the already buried. 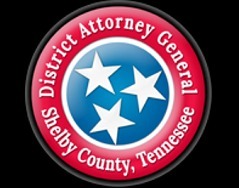 Theft and abuse may have been going on before 2011 until late January 2014 when the cemetery was forcibly closed while prosecutors and the state conduct an investigation. The thought that this type of crime could happen to loved ones is just too much to imagine. 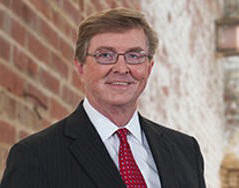 The Cochran Firm believes that you should receive answers to any questions you may have. If it is determined that you were sold a "bogus" plot or that your loved one was mistreated in or after burial we also believe that you should be adequately and justly compensated. The Cochran Firm has been representing the less fortunate against powerful entities such as governments and corporations for over 40 years. 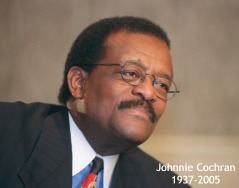 Mr. Johnnie Cochran believed he could make a difference in the world, and he did by representing ordinary citizens! Our lawyers and team members want to achieve the absolute best for our clients. Contact the Cochran Firm today. By submitting your request, you grant the Cochran Firm permission to contact you using the phone and/or email address you provided. The TDCI is the Sate Board that oversees funeral homes and cemeteries. The more information you can provide, the more fully we may be able to answer your questions. By submitting your request, you grant the Cochran Firm permission to contact you using the phone and/or email address you provided. You agree that we may use an automatic telephone dialing system even if the number you provided is a wireless phone number. Cochran Firm- Memphis located at One Commerce Square, Suite 1700, 17th floor, Memphis, TN. Phone: 855-411-4968. http://memphiscochran.com.